“Accompanied by the pleasure of performing many pregnancy massages, I understand, appreciate and encourage the importance of maternity massage. Not only does it offer an hour of relief, comfort and complete relaxation, it also offers physical and emotional benefits”. Traditional massage techniques have meant the expectant mum has had to swap positions throughout the treatment, defeating the object of trying to fully relax! 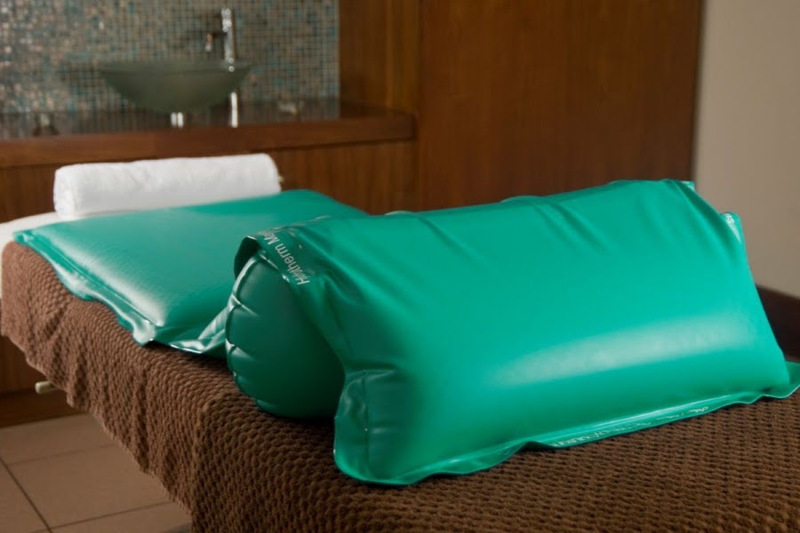 Hydrotherm Massage is a safe and perfect treatment for pregnant clients as we are able to offer a full body treatment whilst lying on your back supported by warm water filled pads, offering ultimate comfort and enabling a full body maternity massage, without having to change position mid-treatment. As with all our Hydrotherm massage treatments, you are able to wear just your pants and a large towel covers you fully, so your dignity is spared! We switch off the Hydrotherm System during the treatment. So, although it feels comfortably warm, there is no risk of you ‘overheating‘, which is especially important during the 1st trimester. Also, we raise the head of the couch to prevent you from lying completely flat. This is really important in the late second trimester and definitely in the third trimester due to the enlarged uterus which can compress major blood vessels, reducing blood pressure and decreasing circulation to you and your baby. 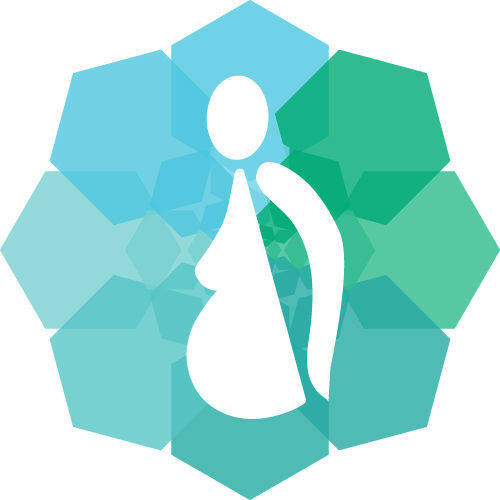 During pregnancy, your body undergoes incredible physical changes as the body produces hormones, necessary for the adaptation of your body to prepare for giving birth. For example, the ovaries and placenta produce relaxin to relax the pubic symphysis and ligaments. As a consequence, broad ligament and round ligament discomfort are common in the second trimester and usually refers pain from the uterus into the groin. Change in posture is a common cause for lower back pain during pregnancy, with the changes in abdominal muscle function and increased laxity of ligaments. In addition, of course, carrying the weight of your ‘pregnancy bump’, equivalent to a bag of shopping, contributes to putting extra strain on the lower back. Sciatica is a common problem associated with pregnancy and changes in posture and can occur when the piriformis muscle is tight and pinches the sciatic nerve, this can cause massive discomfort and sometimes, reduced mobility. Massage to this area can release the piriformis muscle, in turn relieving pain and offering relief from symptoms. Symphysis Pubis Dysfunction (SPD) can occur during the third trimester. SPD can cause excruciating pain, usually a pain into the groin and around the hips. Neck and shoulder pain is common during pregnancy. This is due to breast enlargement and postural changes and can contribute to headaches. ‘Restless legs’ often worse by night. This causes cramps and achy, tense legs. This can add to a very frustrating and disturbed nights sleep. The good news is that, thankfully, a good pregnancy massage can help relieve all of these symptoms. The ancient art of massage has been used as a remedy to relieve muscular aches and pains and treat postural related problems for centuries. It, therefore, makes sense that during pregnancy, we would receive the most benefit. One important benefit of maternity massage therapy is that it relieves tension and pain to tight and tender muscles. This gives a huge sense of relief and relaxation, increasing flexibility and in turn helping to maintain the correct posture…….And of course, it feels great!! During pregnancy, our bodies change shape rapidly as the uterus grows in size. Also, we gain weight and there is an exaggeration of posture. All this can cause clumsiness, this is due to proprioceptors not being able to keep up with all the postural changes. Massage can stimulate the proprioceptors to encourage and coordinate movements, leading to greater spatial awareness. A maternity massage also increases blood circulation, which helps carry oxygen and nutrients to the cells quicker. Massage therapy can stretch your muscles. In turn, easing muscle cramps reduces stress on weight-bearing joints, increases flexibility and tone muscles. A full body massage treatment encourages relaxation and works effectively on the nervous system to induce a sense of calm. In turn, this helps you to sleep better and allows a healthy body for your baby to grow. Massage oils are perfectly safe during pregnancy and great for moisturising the skin. They encourage skin elasticity, perfect for stimulating blood circulation to cells and hopefully assisting with the prevention of stretch marks. If your skin is extra sensitive during your pregnancy it is possible to use an un-fragranced base oil instead. Hydrotherm pregnancy massage is a safe and rewarding way of achieving muscular relaxation and release from muscular pain and discomfort. In the safe knowledge that an experienced therapist is treating you. If you would like more information on Pregnancy Massage, we are happy to answer any questions you may have via phone or email and if you are looking for a special gift, we offer Hydrotherm Massage vouchers. 38 weeks pregnant and feeling tight, in pain, knotted and outta place! Water bed, heat and oils with a thorough deep massage and a lovely bump rub! Just hoping to sleep for a week now ! “I’ve been coming to Keheren therapy now for 4 weeks fall we having a pregnancy massage. I was initially put off by having a pregnancy massage through bad experiences before: you weren’t relaxing, you were on a very narrow couch. I had to keep turning over, trying to get my leg comfortable or to hold a pillow. With the Hydrotherm massage, it’s just amazing! You’re completely weightless on the cushions of water. You just feel like you are lifted up. My therapist works really really hard to make sure that she pinpoints the right areas for me. I’ve been having a lot of back pain and pain and she works really really hard. Afterwards, she always explains to me exactly where. that muscle pain has come from and why she’s worked on certain groups. With regards to the clinic here, it’s such a lovely location! It’s quiet, it’s peaceful, it’s really very calm: it’s really inviting! Debbie herself is so professional! She just makes me feel at ease every time I come. Her knowledge is just amazing on the different groups of muscles. I really wish I’d started coming to a lot sooner in my pregnancy. I’ve only got five weeks to go and I’ll definitely be coming back every week”.